If you need help understanding divorce law and how it applies to your personal situation, please reach out to me in Statesville, NC. When you and your spouse decide to end your marriage, you might believe that you can simply divide your possessions, sign a few documents, and go your separate ways. Unfortunately, the divorce process is often much more complicated than this. If you need help understanding divorce law and how it applies to your personal situation, please reach out to me, W. Sloan Goforth, Attorney at Law. I am an experienced family lawyer who has a keen knowledge of divorce law. When you work with me, I will do everything I can to ensure that your best interests are protected, whether you decide to mediate your divorce or take the process to court. I will also help you understand how these laws pertain to your rights to separate and marital property, child custody, alimony, and other divorce-related issues. I realize how trying the divorce process can be on an emotional, physical, and financial level, and will make sure that I provide you with regular updates throughout the duration of your case, so you don’t have to worry. My goal is to help you overcome this difficult situation with as little stress on your end as possible. If you would like to find out more about how I can help you with the divorce process, please contact my office in Statesville, North Carolina today to schedule your free consultation. Remember, navigating through the intricacies of divorce law on your own can be intimidating, and I am here to provide you with helpful legal advice and guidance. 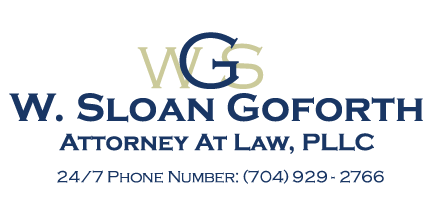 At the office of W. Sloan Goforth, Attorney at Law, we can help with divorce law cases for residents of Statesville, Troutman, Taylorsville, Mocksville, Mooresville, Hickory, Iredell County, Alexander County, and Davie County, North Carolina.